Meet the Beatles for Real: George considers starting a trio. George considers starting a trio. 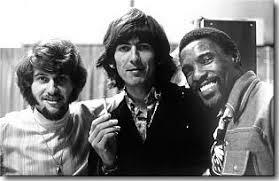 George with Johnny Rivers and Al Wilson.